Chiver (KCCO :), runner, entrepreneur, scuba diving instructor, CPR/EFR instructor, consume Belgian ales and microbrews, love spending time with friends/family/positive people, enjoy the outdoors (snowboarding, hiking, camping). I enjoy a good book, lounging at the local pub with my honey, seeing the current hot movie, walking on the beach (oh Miami! ), or just chilling at home with friends and family over a glass of wine. 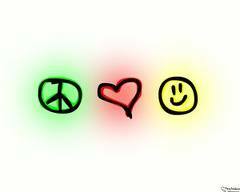 Bottom line: Peace, love and happiness!! !